Listen now to a short interview with Fran Halloran (also known as The Money Coach) on how you can save a significant amount of money on your outpatient imaging services. 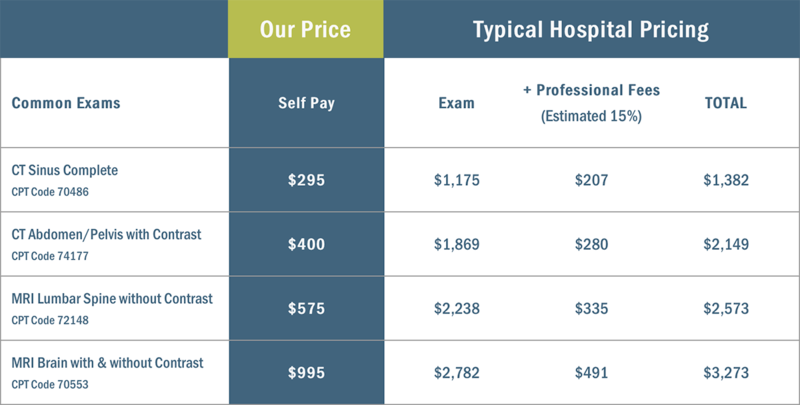 Palmetto Imaging discusses how much you can save - typically 40 - 60% less than the hospital. Interview from October 17, 2018. Sorry, this file won't play in your selected browser. Palmetto Imaging talks high deductible plans and shopping around. You have a choice. Interview from September 6, 2018. How you can save a significant amount of money on your imaging needs. Interview from June 7, 2018. Obtain pricing information prior to scheduling an imaging exam. Interview from June 14, 2018. Palmetto Imaging is a network of independent outpatient diagnostic testing facilities conveniently located in the capital city of Columbia, South Carolina. We have three convenient locations in the Midlands - West Columbia, Irmo, and downtown Columbia. Our Irmo facility is located off I-26 down Lake Murray Blvd. off St. Andrews Road. Our West Columbia facility is located on 378 between I-26 and I-20, just down from Lexington Medical Center. Our downtown facility is located at the corner of Lady and Marion Streets, two blocks from the State Capital building and Palmetto Health Baptist. Palmetto Imaging is committed to providing convenient, high quality radiology services at a price you can afford. Did you know when choosing a free standing imaging provider you can save yourself up to 2-3 times out of pocket expense? We have the lowest out of pocket for all imaging needs compared to that of a hospital setting as well as discounted un-insured rates. We also bill globally, which means the radiologist interpretation of the images are included in the already low rate! At most hospital facilities you will receive a bill for the exam as well as a bill from the radiologist reading the exam. We offer MRI, CT, Ultrasound, Arthrograms, and X-ray with extended morning and evening hours available. Our X-ray services are available for walk in hours at our Downtown and Irmo facilities; patients must have a signed physician’s order. In addition we offer CT cardiac scoring and Carotid IMT ultrasound screening to assess a patient’s risk of heart disease and stroke. Our large bore MRI can accommodate patients who are claustrophobic or overweight. We also offer 3D reconstruction views for both MRI and CT studies. Palmetto Imaging radiologists are on-site and board certified and we guarantee a 24 hour report turnaround to the referring doctor’s office. Our staff is able to pre-certify your insurance and our technologists are available to answer any questions you may have about your test. Referring doctors can access their patients’ images and reports through our secure online web-based portal. Wm Perry Edenfield, Jr., M.D.